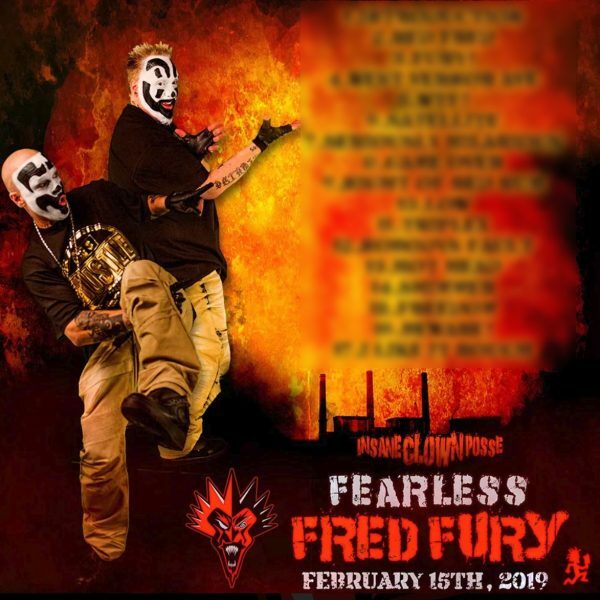 Just minutes ago, we posted all of the clues (without giving you the answers) for the super secret hotline that was talked about via ALL of Insane Clown Posse‘s social media outlets. If you missed that post and want to take part in the fun, click RIGHT HERE. Now, if you already figured it out, or are just extremely lazy and want to be shown the answer, we’ve got a hookup for you! The clues gave you a phone number to which Kegan revealed a new website address. I won’t even tell you what that address is, but you can go to that post and listen to the hotline for yourself. When you go to the web address, you get to see the full 17 Song Tracklist to Fearless Fred Fury! I know ninjas have been looking forward to this for more than a minute, so if you want to see that, just click the blurry pic below to reveal it! Click to reveal the FFF tracklist! Any thoughts on what any of the tracks could be about? Let us know in the comments below!